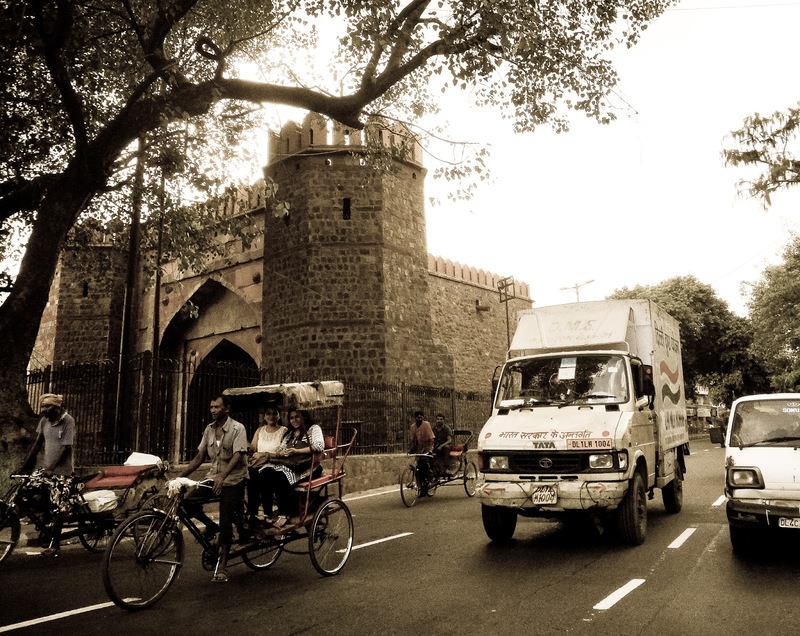 The Delhi Gate links Old Delhi with New Delhi. It sits in the center of a busy road. 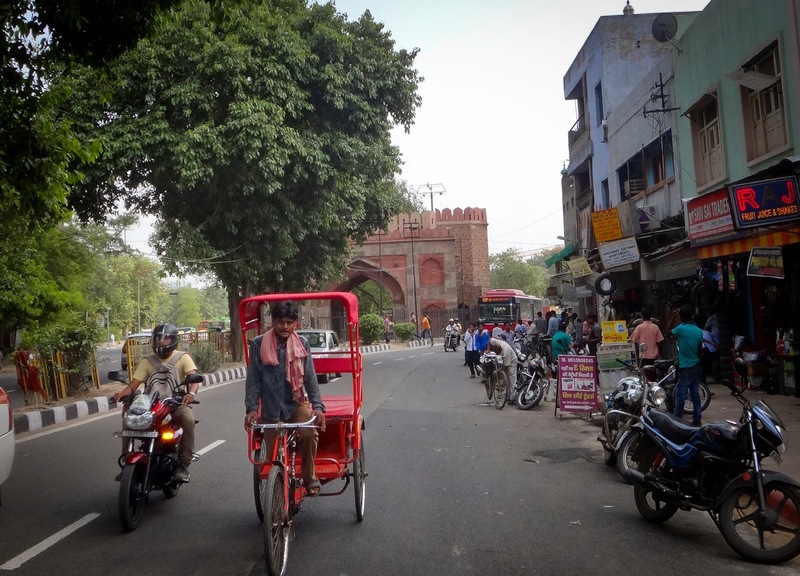 On one side are the old tightly-squeezed, winding roads of Shahjahanabad, the last Mughal city. On the other are the medical college and cricket stadium of modern Delhi. 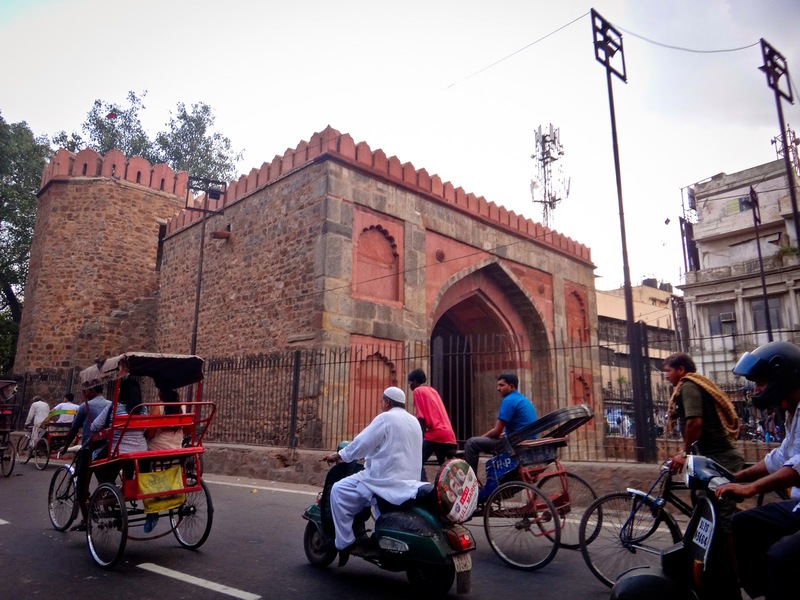 Instead of passing through the gate as traffic used to, it makes it's way around this four hundred year old piece of history--never imagining that it might be in the way. The way old and new exist right next door to each other is one of India's greatest characteristics.